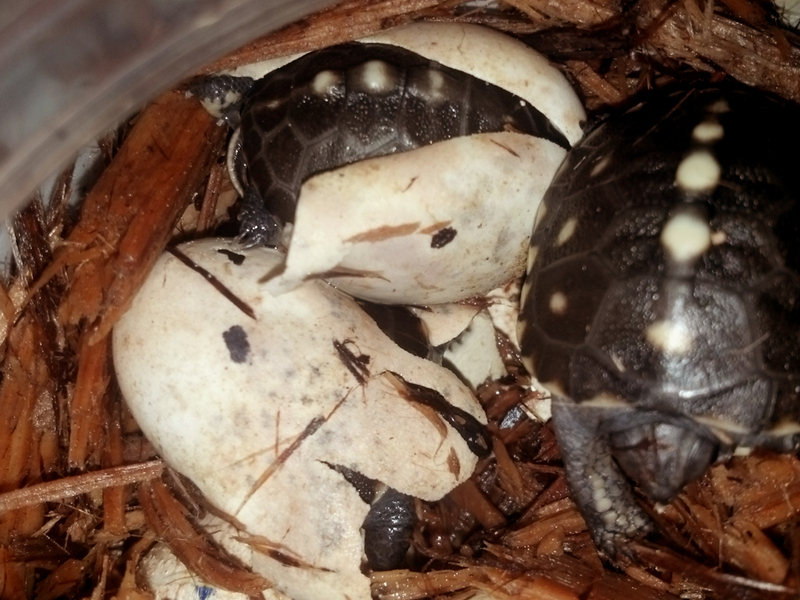 Baby Box Turtles Hatch at Earthshine!! WOO HOO!! Two days ago I checked the incubator to find that the three Eastern box turtle eggs I have been incubating for the last month or so were hatching!! Take a look at the photos below of the little turtles hatching! I received these little guys as eggs from a friend of mine who found them on a family member’s property. The property was being developed and unfortunately the eggs were dug up during the excavation. Fortunately for them the landowners cared about the welfare of wildlife so they quickly got the eggs to me so that I could try to incubate them and give them a chance at life. 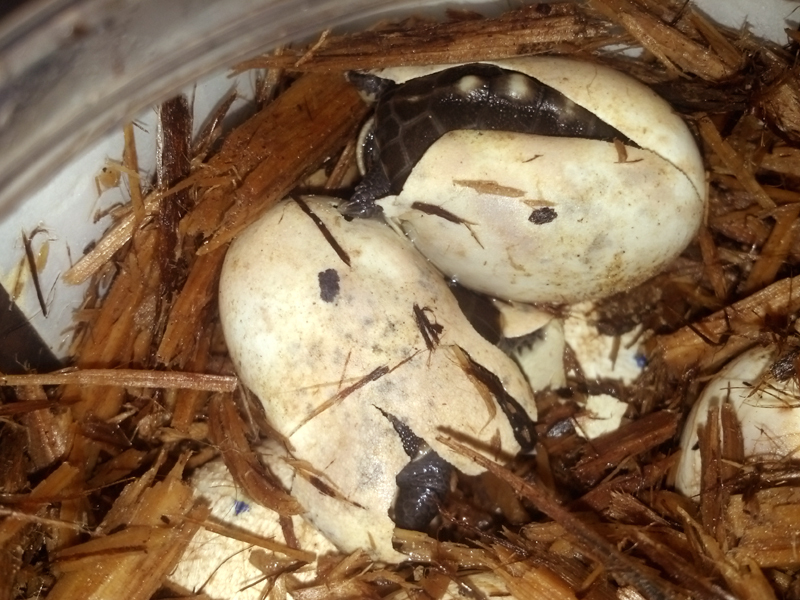 I placed them in an incubator with some ratsnake eggs that I am incubating and a few weeks later here they are! While these little guys are really cute they are also really fragile and need special care. 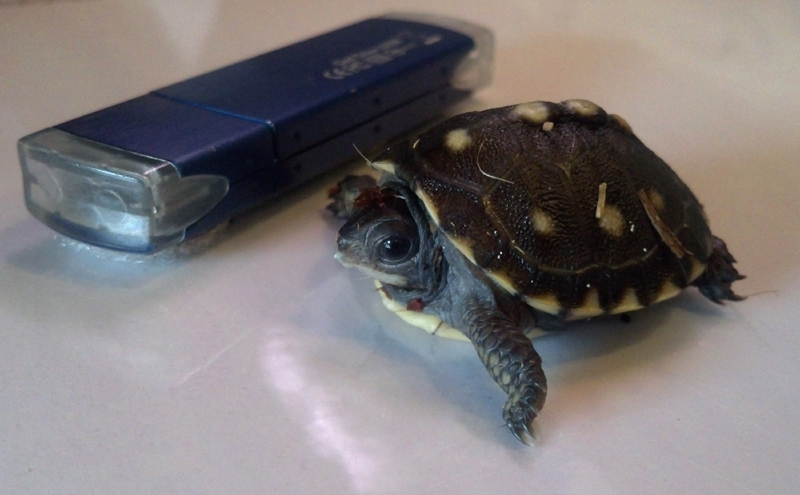 As you can see from the photos they are only the size of a quarter (that is a flash drive with the turtle below for size comparison). Since they are so small they are eaten by many different forest animals such as Raccoons, Wild turkeys and other birds, Opossums, foxes, Chipmunks, snakes, and even your pet cats and dogs! Their chances of surviving to adulthood are very low if released in the same place so to help out with the odds I plan to release one of them near to where it originated and let it take its chances in the wild. 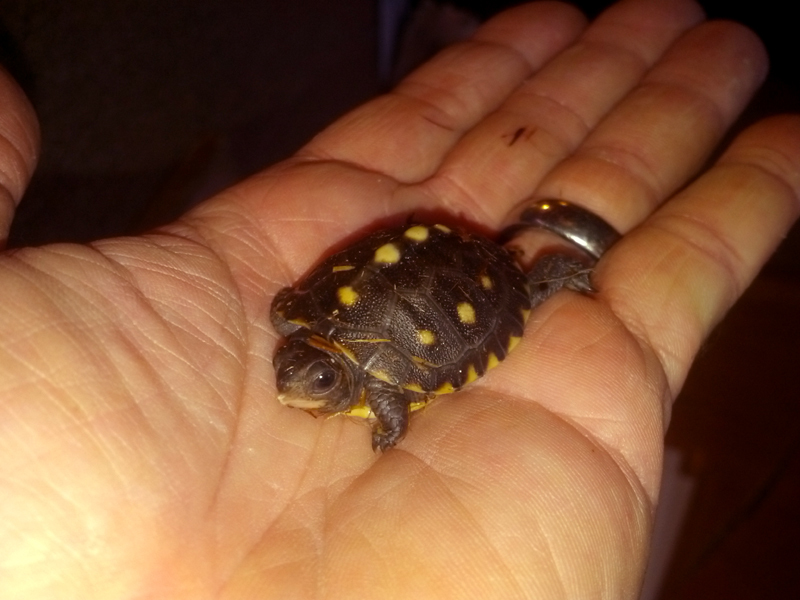 I will release the second one in the protected forests at Earthshine (which is not very far from their home forest) and the third one I will raise in the box turtle head start enclosure in the nature center. In a few years, when the head start turtle is old enough to protect itself, I will release it near its place of origin. Maybe I will be able to attach a tracking device to it’s shell and see how it does in the wild after being raised in captivity. Only time will tell.